﻿ Originating from Houston, Texas, Oceans Of Slumber are a five-piece band who were founded in 2011. The Banished Heart is the awaited third studio album, based on very personal experiences of drummer, producer and co-writer Dobber Beverly and vocalist Cammie Gilbert. Beverly states, “[w]e needed a new record, and so this album became a profound statement about our lives over the last two years”. The first two tracks on the new album, The Decay Of Disregard and Fleeting Vigilance, “are about misplaced blame and angst, basic defence mechanisms for distraction or projection”. These themes are displayed through the instrumentation and tonality of both tracks. The Decay Of Disregard opens with a minor melody with dissonant sustained note in the background that creates a haunting contrast. The volume of the piano gradually increases, with introductions of synth sound effects, which leads into a dark, minor chord sequence played on distorted guitars. The dark atmosphere is carried through the layers of instrumentations and Gilbert’s vocals carrying haunting lyrics. Her voice is highly suited to the track, she uses her range in the melody line. Further into the track, the tempo reduces to half the speed, which further enhances the haunting atmosphere. The atmospheric techniques used in this track display death metal and doom metal influences. Fleeting Vigilance opens with a less heavily distorted guitar melody accompanied by Gilbert’s vocals. This has a calmer, more serene atmosphere which contrasts the first track. It then builds up to heavier guitars and distorted vocals. Alternating tempos and rhythms in the guitars create a busy backing for the slower vocal line, creating a contrast of calm and chaos. The title track, The Banished Heart, opens with a bare instrumentation; percussion, vocals and intermittent chords. The track builds up with the introduction of distorted guitar chords. The track has a very dark, sombre tone. An interlude of a piano melody lifts the tone of the track by playing in a higher pitch. Supporting, long notes in strings add to this dark, spooky atmosphere, contrasting the beginning of the track. The song then explodes back into distorted guitars with a fuller sound instrumentation. The heartfelt lyrics are perfectly represented through the melodies and tonalities of the instruments. The continuous alternation of instruments and tones represents the alternating emotional states of the band’s personal experiences. The change in tone through use of strings and synth effects shows a change in tone. The atmosphere becomes more uplifting and optimistic, even with the distorted guitars, an evolution that, despite being very different to the beginning of the song, fits cohesively with the emotions and ideas that run through the instruments and the lyrics. 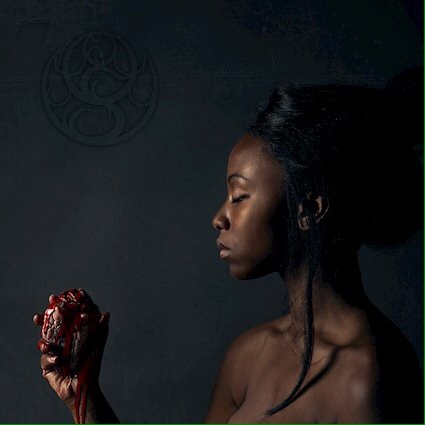 Oceans Of Slumber have created a very heartfelt, emotive album. Their musical ability is greatly displayed through their incorporation of genres such as doom and death metal, along with the contrasting melodies in the instruments. Dark, emotive atmospheres are excellently portrayed through their music, with glimpses of hope interspersed. ‘The Banished Heart’ by Oceans Of Slumber is out now on Century Media Records. Next Post ALBUM REVIEW: ‘You’re Not Alone’ by Andrew W.K.